The right pond additives can really improve your pond. Our pH additives will make sure that you pond maintains a safe pH level for your fish. 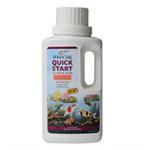 We also sell other pond additives, like water conditioners. Whatever pond additives you need for your pond, Pond Depot is the place to find them. We have an excellent selection for you to browse through. Crystal Clear Vanish Dechlorinator Dry 8-OZ. UltraClear Organic Pond Colorant 12 oz.